In Hong Kong, competition was fierce between Thomas Miller, HFW's team - Holman and the Ergonauts – and the Royal HK Yacht Club, with the teams finishing in the reverse of that order. 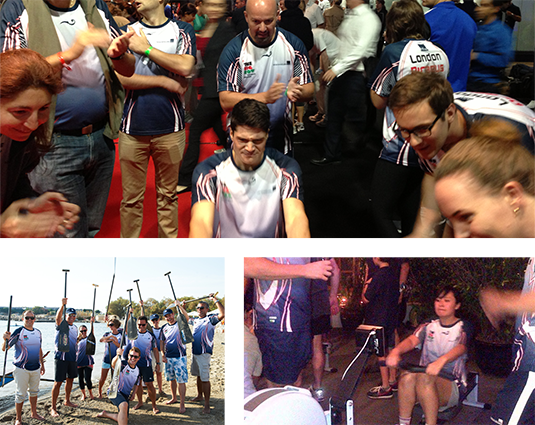 In Piraeus, HFW's team – The Holman-Nauts – took their rowing to a different level by setting out in a dragon boat doing timed courses and trials. While in London, HFW's Power by the Hour team showed real grit and determination at the Spitalfields Market venue, eventually being narrowly pipped to the post by the London Nautical School and the Royal Navy, whose team posted the fastest time. 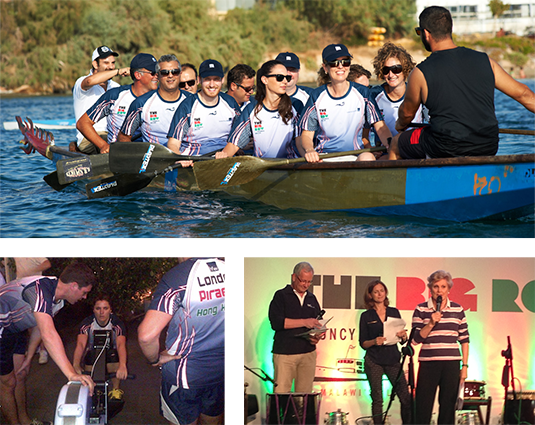 Patrons of The Big Row: Katie Derham, Jeffrey Evans, Sheriff of the City of London, The Rt. Hon. Roger Gifford, Angela Rippon OBE, Roz Savage MBE FRGS, Robert Treharne Jones and Admiral Lord West of Spithead GCB DSC PC were on hand at Spitalfields to give much needed encouragement to all the teams taking part. The Big Row was in aid of the href="http://www.chauncymaples.org" target="_blank">Chauncy Maples Malawi Trust, which is renovating Africa’s oldest ship into a mobile clinic on Lake Malawi. M.V. Chauncy Maples will bring much-needed healthcare to remote villages where malaria, TB and HIV/AIDS are common. Improving people’s health enables them to farm, fish and live more productively. To make a donation to any of the HFW teams' fundraising efforts, follow the links below.